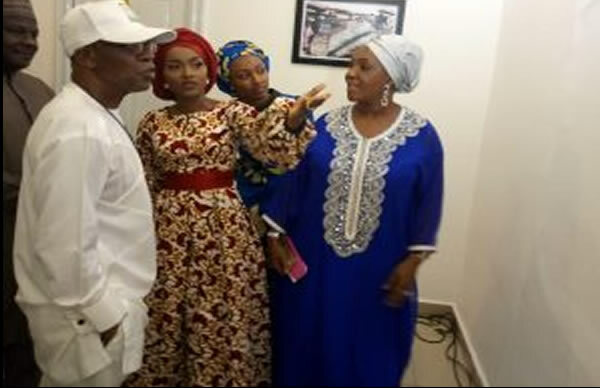 The Minister of Information and Culture , Alhaji Lai Mohammed , has described as a ‘ game changer ’ the ongoing photo exhibition in Abuja by a daughter of the President , Hanan . He noted that her passion for photography would encourage more young people to showcase their creativity . Mohammed , who stated this during his visit to Hanan ’ s photo exhibition in Abuja on Friday evening, said the creative industry was not meant for drop - outs . Tagged , ‘ Innovation by Hanan ’ , the minister said the exhibition would change people’ s perception about the creative industry . The minister noted further that the present administration had demonstrated it was committed to moving the industry to the front burner of the economy through various initiatives , including the granting of pioneer status to the sector , capacity building , and exploring creative approach to funding. In her remarks , Hanan said she was inspired by her passion to show the world another side of Nigeria through unique photographs . “ You should always stand for yourself and let your parents know what you want to do , ” she said . Wife of the President , Aisha Buhari ; Director Generals of the National Tourism Development Board , Folarin Coker ; the National Gallery of Arts, Abdullahi Muku ; and the Managing Director of the News Agency of Nigeria , Bayo Onanuga and some members of the diplomatic corps also witnessed the opening of the exhibition.